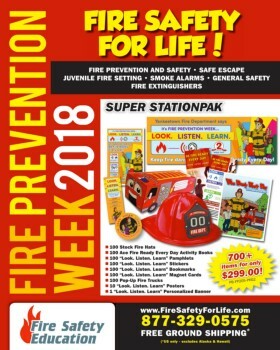 Putting your department name on products like activity books, pamphlets, sticker badges and fire hat shields let's your community know that your department is actively working to keep them safe from fire. 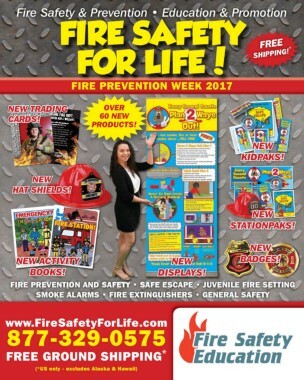 At Fire Safety Education, we make the process of imprinting materials with your custom message easy! When selecting a product with a custom imprint, simply fill out the Personalization form with your custom message and, if you need to, upload a file with your department's badge, logo or shield. Our graphic designers will create a custom design and send a copy for your approval. Don't like what you see? Tell us how to fix it and well make the changes fast. When you finally approve your custom artwork, we'll get to work making your perfect fire safety and prevention product. We offer personalization on most of the products we offer, but if there is a stock product that you'd like to customize, call us and we'll make it happen! Best of all, we offer this custom design service FREE OF CHARGE! For more information on any of the services listed above, contact us at 877-329-0575.